To make a zesty margarita or paloma, or just to sip neat as a smooth after-dinner drink, there's nothing better than really, really good tequila. The great tequilas of Mexico are a world away from the harsh shots you may have done in college, which were likely not even tequila at all, but a hybrid of just 51% agave spirit, aptly called "mixto." 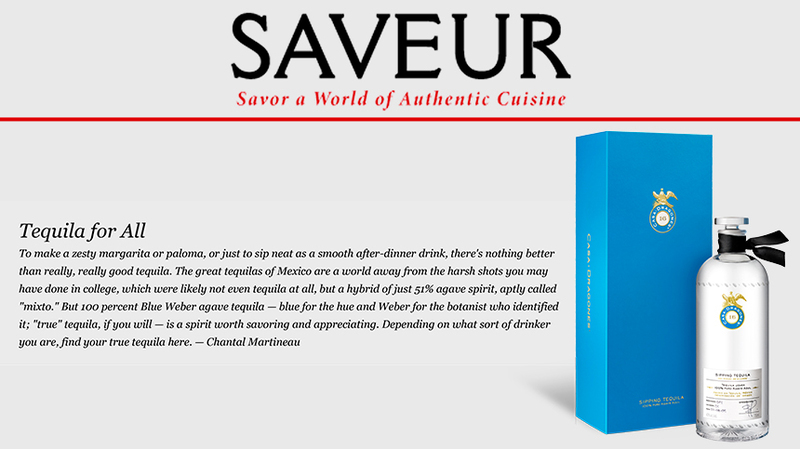 But 100 percent Blue Weber agave tequila — blue for the hue and Weber for the botanist who identified it; "true" tequila, if you will — is a spirit worth savoring and appreciating. Depending on what sort of drinker you are, find your true tequila here. The looks of this crystal clear sipping tequila are deceiving: Despite its translucency, it's actually a blend of silver tequila with a hint of extra añejo, that's then filtered to such a clarity that you could easily mistake it for plain blanco. That is, until you taste it: this spirit is beautifully complex, like an aged spirit, yet still boasts the bright, flirty, floral notes that make a young tequila so appealing. Read more here.